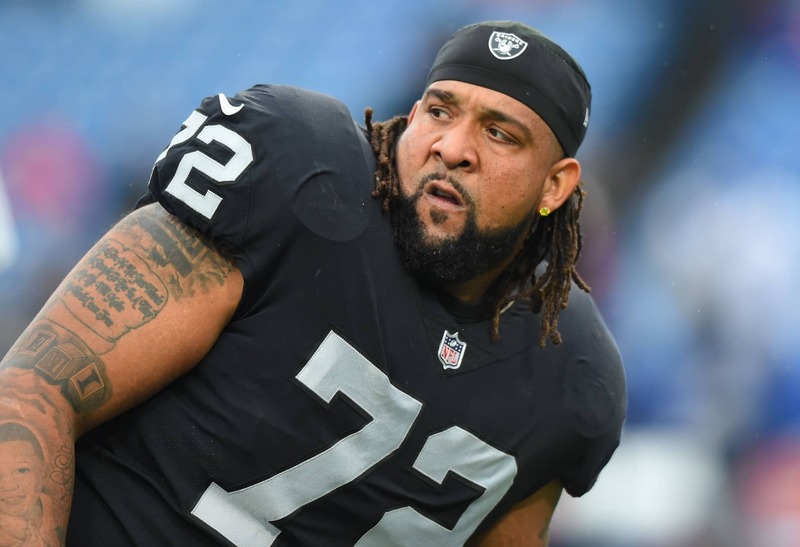 The Oakland Raiders recently asked Donald Penn to take a pay cut, and the sides have agreed to a team-friendly deal with higher guarantees. Michael Gehlken of the Las Vegas Review-Journal first reported the news of the updated agreement. Penn, a Pro Bowl left tackle in both 2016 and 2017, underwent surgery for a Lisfranc fracture. The injury happened toward the end of last season against the Dallas Cowboys. For a while, it seemed that could lead to the end of his Oakland tenure. However, the Raiders still have Penn in their plans moving forward. According to Spotrac, the 35-year-old would’ve had a cap hit of nearly $8.4 million this season with only $3 million guaranteed. With the new contract, that number is likely to rise. In return, Oakland should have increased cap flexibility in the future.